This photo was taken 50 years ago in my hometown. I had just entered 7th grade. The guy with the shovel is unknown to me, but played a BIG part in fueling my boot lust. 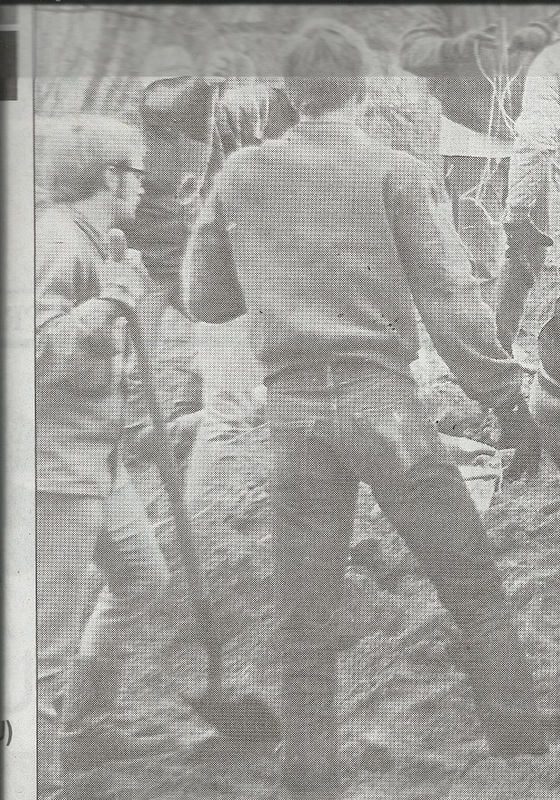 He was a volunteer from the local high school helping to fill sand bags for a flood that hit us that month. I believe those are Campus boots he has on. I love the way he has his jeans tucked neatly into them. Love the dusty Boots you are wearing, DogDad1956. AND so many guys wore 501 Levis!!! Thanks! those are my Wesco Boss boots. Photo was taken over 8 years ago.